I am working on a project that requires a lot of insertions and updates into the hashtable (no deletion at all). 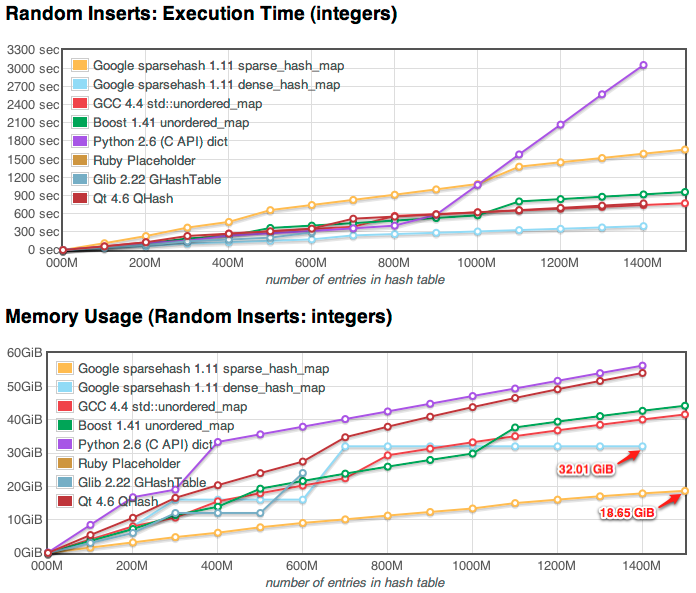 It is very strange to me that a generic c hashmap (https://github.com/Kijewski/generic-c-hashmap) makes my program at least 4 time faster than both sparse_hash and dense_hash. I couldn’t figure out why though. Have you ever had any experience with the above-mentioned hashtable or even seen any thorough analysis of hashtable implementations that includes that? I can’t think of anything in particular that would cause a 4x difference in performance, without knowing more about your workload. That said, I would note the following things: it uses djb as a hash function which I don’t believe has strong theoretical guarantees (but is very fast), it’s all macros so maybe the inlining has something to do with this(? ), and it uses a default load factor of 0.75 which may be different from what you’re using in sparse|dense hash. why I don’t see ruby colour on first two graph? Hi! On the first graph the red (GCC) and burgundy (QT) lines overlap for the most part. 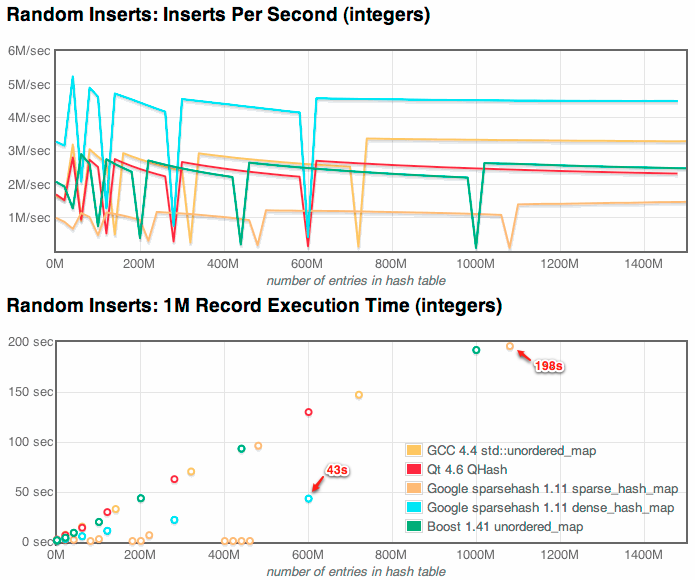 In the second graph (same colors), they’re pretty distinct, with QT requiring much more memory.